World Refugee Day is observed on June 20th every year. June 20th is set aside as "World Refugee Day". Violence of various forms renders millions of people refugees. Major cause for people to flee their homes is fear. This fear can be due to natural disasters or human-made violent occurrences like war and acts of terror. People flee their homes due to reasons rooted in religious, political and racial disagreements. Most refugees in the world currently are of Syrian origin. South Sudan is increasingly becoming a source of displaced persons. The concerns for the welfare and livelihoods of refugees should not only rooted on roles of people on a humanity level but also as a responsibility to all nations that are United Nations member states. They all have an obligation to people who flee their home countries. Every year on June 20th, World Refugee Day is observed in support of the hardships faced by the world's refugee population. Refugees are a vulnerable group of persons as described by the U.N. The United Nations Refugee Convention of 1951 set out to outline refugees’ rights and responsibilities which all member states ought to respect and adhere to. Top on the list of refugees’ rights is the right not to face expulsion upon entry into a safety country and right not to face punishment of any kind for the entry. This was followed by clearly stated rights to basic requirements like food, housing, public relief work and education. Acquisition of identification documents, access to courts, religion and movement are also rights and freedoms provided for. The U.N. Refugee Convention runs on a non-refoulement principle which forbids re-exposure of refugees to threatening situations by returning them to home country. This principle can however be violated in cases where a person is a threat to the host and/or has been found guilty of a major crime in the source country. This agency is tasked with refugee works, particularly protection and problem solving. It sees to it that refugees’ rights are upheld and their well-being looked into accordingly. It does so by provision of skilled manpower to regions hosting massive numbers of refugees, who in turn take care of emergency shelters and essential goods. The agency also provides information and services geared towards return to home country, integration into host country and resettlement. Integration and resettlement, considered if returning home is not viable, require cultural orientation, legal advice and training all of which are provided by the U.N. Refugee Agency. 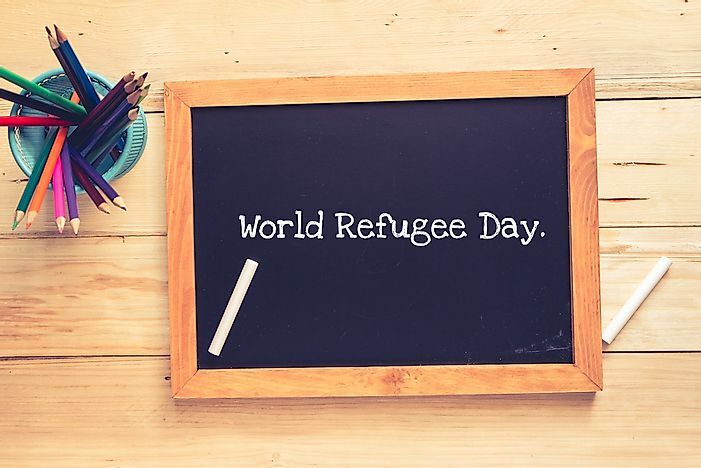 As a commemoration of refugees, the World Refugee Day serves as a reminder to all the U.N. member states of their obligations towards protection of the rights of refugees. Host countries that are more affected by the refugee menace, often receive aid from others and the UN itself which further is a demonstration of shared responsibility believed to ease the burden. At the same time, effort is made to bring peace to violent countries as an effort to reduce the numbers of refugees.